Good luck watching this Mustang eat it without wincing. One of the biggest automotive memes of 2016 involved the Ford Mustang and its penchant for crashing at cars & coffee events. Now we don’t want to take all the credit for starting this meme…but, ya know. 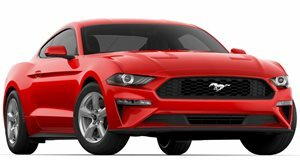 Since Mustang crashes became a meme the iconic muscle car has been painted as a bloodthirsty killer that is always on the prowl for crowds of people. That’s obviously untrue, although videos like this do make us wonder. In it a small group of people are watching a guy attempt to load his 1965 Ford Mustang into a trailer. As much as we’d like to believe that Mustangs are sentient beings obsessing with driving into crowds of spectators the truth is that this guy gave his car too much throttle and paid the price. You can see the rear wheels lose traction on the metal ramps a split second before the car skids off of them. We certainly hope the person behind the wheel was the car’s owner. If not then this poor guy is probably out of a job and facing a massive repair bill for damaging someone else’s classic car.